There are many factors to consider when it comes to being healthy. To stay in shape and maintain your health you need to do some physical exercise. However, your physical condition is not the only thing you need to monitor closely. One of the most critical factors in maintaining your overall health is your diet. Our bodies require a specific amount of macronutrients, such as fats, carbohydrates, and proteins. Your body also needs certain minerals and vitamins. A balanced diet is essential if you want to maintain your mental and physical health. To live a healthy life you need to ensure your food intake is balanced. Your diet must contain a certain amount of healthy fats and proteins. It's even more essential that you get the correct amount of the vital nutrients: minerals and vitamins. Minerals and vitamins play a significant role in your maintaining your body, from healing wounds to strengthening the bones. Since male and female bodies are different, a woman requires a different level of minerals and vitamins than a man. ​Some vitamins are essential for a woman but are not as crucial to a man, including those that play a role in reproductive health and pregnancy. 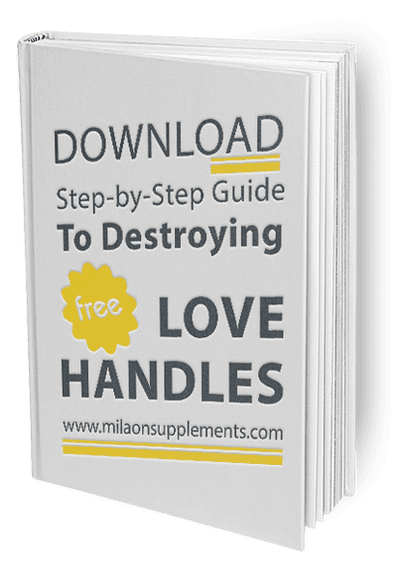 ​​How To Pick Good Women's Multivitamins? ​​How Much Of Each Vitamin And Mineral Do I Need? ​​Do I Need More Nutrients If I'm Pregnant? ​How Can I Get The Right Amount Of Vitamins And Minerals? Remember the Flinstone vitamin commercials from childhood? They promised to help you grow up healthy and strong (and they were yummy to boot). The vitamins and supplements industry is bigger than ever, with many companies making similar hefty claims. Things aren’t just limited to vitamin tablets, either. You’ll find gummies, beverages, oral sprays, and an array of powders for making health shakes, among other things. ​Science indicates that a quality multivitamins can help round out your nutritional intake and fill in any gaps in your diet, but what about the numerous other supplements that have become so popular? Are they all beneficial, or are you possibly doing more harm than good with long-term use? ​​What Are Supplements Made Of? First, I would like to start with the fact that this post was sponsored by iHerb for trying, testing and reviewing the supplements mentioned in this post. However, the opinion about the products I am reviewing is my own. For the part of my audience which is not familiar with iHerb, I would like to say that I have been a regular customer for the last 10+ years. iHerb is a global leader in bringing the best overall value in natural products to its customers all over the world. So far, I have never found another website for supplements than IHerb to guarantees that you will receive the best overall value in the world for over 30,000 brand name natural products. Providing free or discounted shipping to over 150 countries around the world, I’ve never lost a package with them. I live in Europe (Bulgaria), and iHerb’s international shipping is often cheaper and more secure than my local delivery services. And I am not joking. So far, iHerb has always been able to guarantee the delivery of the orders. An additional benefit iHerb offers to its customers is 10% loyalty credit on each order you place (calculated after discounts). The loyalty credits you earn can be applied to your next order. ​So for example, each time you shop from iHerb and use a 5% discount code KOV618, you receive 15% discount immediately (5% discount for your current order and 10% loyalty credit, available for your next order). ​For a limited time new customers get additional 10% off their first order by combining two promo codes - KOV618 and 19NEW at checkout or apply the codes by clicking on any link in this post. There are many potassium supplements out there. But how do you know which are the best? Below are the top ten best potassium supplements reviews. 2.1) Why Should You Care About Potassium? 4) Who Can Benefit from Potassium? 5) How To Take Potassium Supplements? 6) Are There Any Side Effects? 7) How To Choose a Good Potassium Supplement?